With a draw looming, Matuidi kept PSG's title hope alive with a header three minutes into injury time. 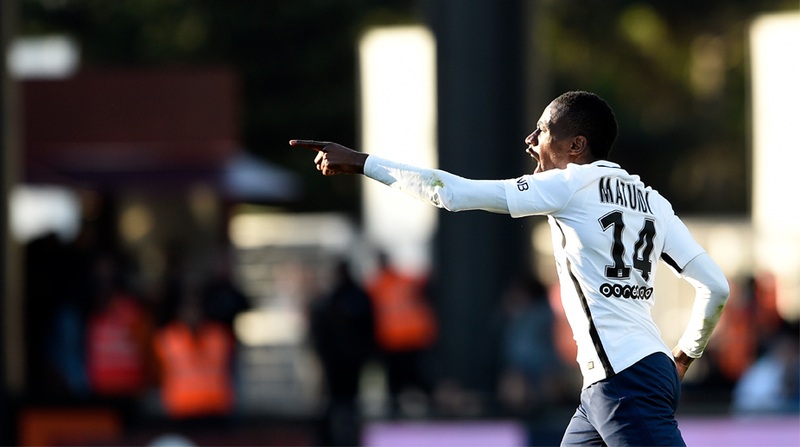 Blaise Matuidi's 93rd-minute winner earned defending Paris Saint-Germain (PSG) a 3-2 away victory over FC Metz and three crucial points in their Ligue 1 title race. PSG drew level with league leaders AS Monaco on 77 points but are second due to a huge deficit in goal difference. Monaco however, have a game in hand. Nice, four points adrift, were placed third, reports Xinhua news agency. PSG built a comfortable two-goal advantage in the first half on Tuesday, both assisted by Brazilian left-back Maxwell Scherrer Cabelino Andrade. In the 33rd minute, Edinson Cavani netted his 30th league goal of the season, before Matuidi doubled PSG's lead with a low ast Metz goalkeeper Eiji Kawashima three minutes later. However, things changed dramatically in the second half, as Yann Jouffre, Cheick Diabate and Ismaila Sarr, the substitute trio of Metz, were a huge boost for their team's comeback. Jouffre's brilliant free-kick left PSG goalkeper Kevin Trapp stranded, and Diabate poked Sarr's cross from the right flank into the net. Jouffre got the chance to put Metz up late in the game, while seeing his another free-kick hit the crossbar. With a draw looming, Matuidi kept PSG's title hope alive with a header three minutes into stoppage time.